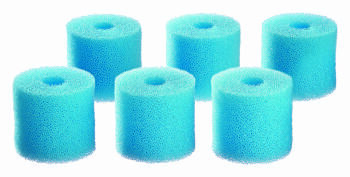 A complete repalcement pre-filter foam set for the OASE BioMaster 600 External Filter. Comes as a pack of six cylindrical sponges to fit the removable pre-filter tube. Available in a variety of densities to allow for finer filtration to suit individual aquariums.